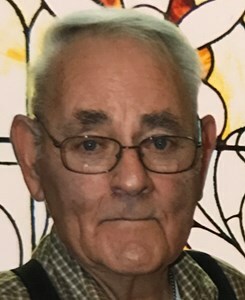 Newcomer Family Obituaries - Carlyle 'Carl' Fultz 1935 - 2018 - Newcomer Cremations, Funerals & Receptions. Carlyle "Carl" Fultz of Grove City, Ohio passed away peacefully at the age of 82 on September 5, 2018. He was born in Ashland KY November 30, 1935 to the late Jesse and Virgilia Fultz. Carl was married to the love of his life, Judy for 40 years who survives him. Also survived by his sister, Virginia (Carl) Willis along with his 4 children: Ray Fultz, Linda Kinney, Barry (Roger Newell) Fellure and Pam (Scott) Taylor, 4 grandchildren: Vincent (Emily) Wulf, William Wulf, Carol (Gary) Madden, Shannon (David Duncan) Taylor and 5 great-grandchildren. His best dog Sandy will miss him dearly. Carl was a carpenter by trade for over 50 years. He built thousands of homes in and around Columbus. He also had a crane business. He worked hard all his life. Carl is a member of the Loyal Order of the Moose, Lodge #11. He is a past president of Moose Legion, an International Ambassador, Past State President, Past Governor Moose Lodge #11. He earned the highest degree of the order which is Pilgrim. He was so proud of all that he accomplished for the Moose. Carl loved it when his good friends: John Wolfe, Alfred Ehrlich and Jim Rubrecht would come to visit him. He attended the Harrisburg United Methodist Church for many years. Carl fought a long and hard battle for 6 years with congestive heart failure along with lung problems. We would like to thank Dr. Richard Janczak for taking such good care of him and all the nurses from the Heart Failure Clinic at Grant. He would not have made it as far as he did without all of you. He was the fairest person and always helping someone. He was a great husband, father and friend. Friends and family may call Sunday September 9, 2018 from 2 pm to 4 pm at Newcomer Southwest Chapel, 3393 Broadway Grove City OH. Private burial to take place at a later date. In lieu of flowers please consider a donation to The American Heart or Lung Associations. Add your memories to the guest book of Carlyle Fultz. To the family of Carl Fultz we have you in our thoughts and prayers during this time of sorrow. didn't see him very often but our friendship was always there. We are proud to have known him and most of all call him our friend!! To Judy my condolences. I love you. Judy and Family, Our Heartfelt Sympathy and Prayers are With Each Of You.We are So Blessed To Have Known Carl and Call Him Friend. Praying For The Lord To Infuse Each Of You, With His Perfect Strength, Love, Peace and Comfort Along With Your Wonderful Memories With Carl, To Carry You Through.